On Friday November, 11th 2007, the Avro 652A Anson C.19-2 arrived in Beauvechain. On Monday December, 3rd the aircraft will be delivered at the Royal Army Museum depot in Vissenaken (Belgium). This rare aircraft will be the second Anson preserved on the continent, the other one being in the Netherlands. 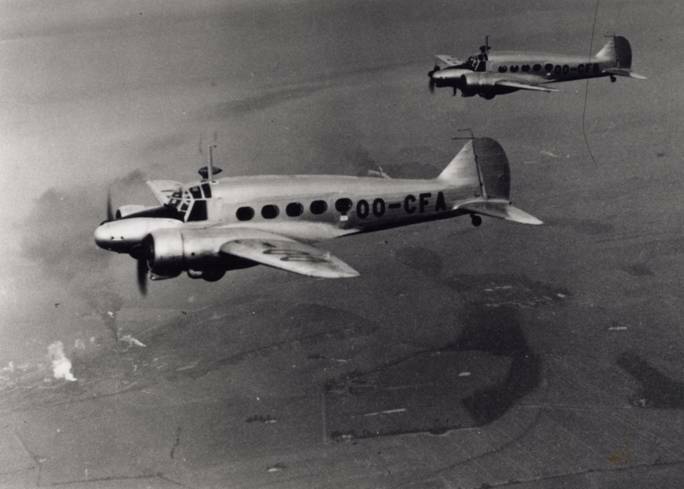 The Anson was used widely by the Belgian Air Force after World War II. This particular aircraft has a rich career in Congo and Belgium with Sabena and various civil Belgian operators before to be exported in the UK in the years 1960's. The Anson was operated for transport and aerial photography purposes. By chance, the administrative files of this aircraft are preserved by the Fonds National Alfred Renard. The last owner was Retro Aviation in Coventry. The airframe will need restoration but spare parts were provided to have a complete airframe.